Heintz joined the Duke men’s golf program as an assistant coach on Feb. 10, 2017. 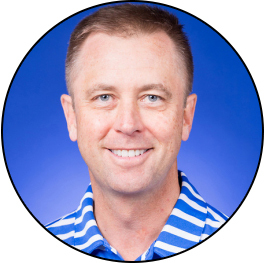 A six-time full PGA Tour card member, Heintz came to Duke after more than five years as head men’s golf coach at the University of Pennsylvania. He was named Ivy League Coach of the Year in 2015 after leading the Quakers to the Ivy League championship. At Penn, Heintz was responsible for all aspects of running the varsity golf operation. During his tenure as head coach at Penn, Heintz also served as a golf instructor at Applecross Country Club in Downingtown, Pa. In that role, he provided instruction in individual, class and camp settings, covering such topics as putting, short game, wedge play, course management, and full swing analysis. Heintz enjoyed a professional playing career that spanned more than two decades. He was a PGA Tour member in 2000, 2002, 2006, 2008, 2009 and 2010, posting his best career finish with a second-place tie at the Reno-Tahoe Open in his final season on tour. 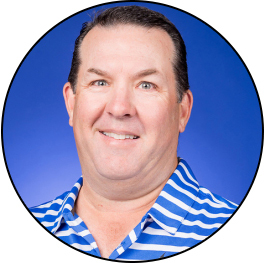 A frequent leader in putting and short game statistics, Heintz led the PGA Tour in both putts per round (27.57) and putts per green in regulation (a record-low 1.682) in 2002. In 2009, he ranked first on the PGA Tour in three-putt avoidance (1.6 percent). Heintz recorded a pair of Nationwide Tour victories in 1999, winning the Shreveport Open and the Nationwide Tour Championship. As a professional, Heintz played in more than 300 events, earning nearly $3 million and recording 20 top-10 finishes. In 2000, he penned “Bob Heintz’ PGA Tour Rookie Diary” for SportsIllustrated.com.